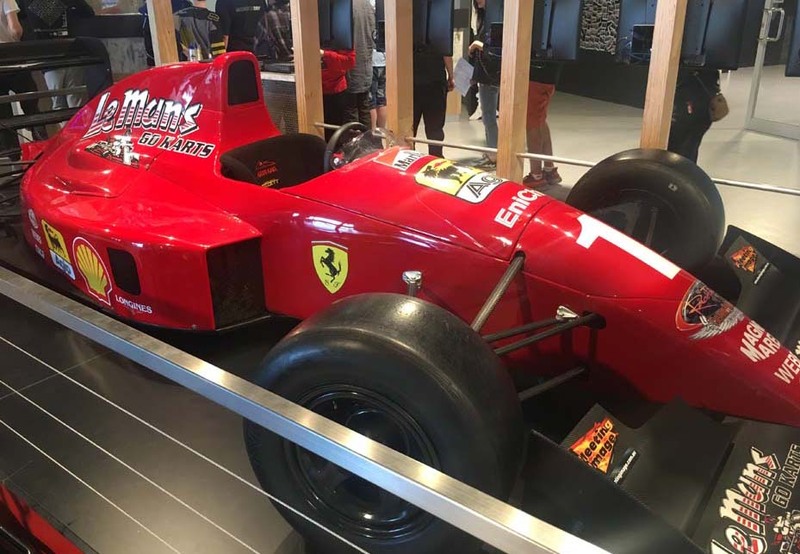 You are at:Home»Attractions»Le Mans goes the distance for fun! 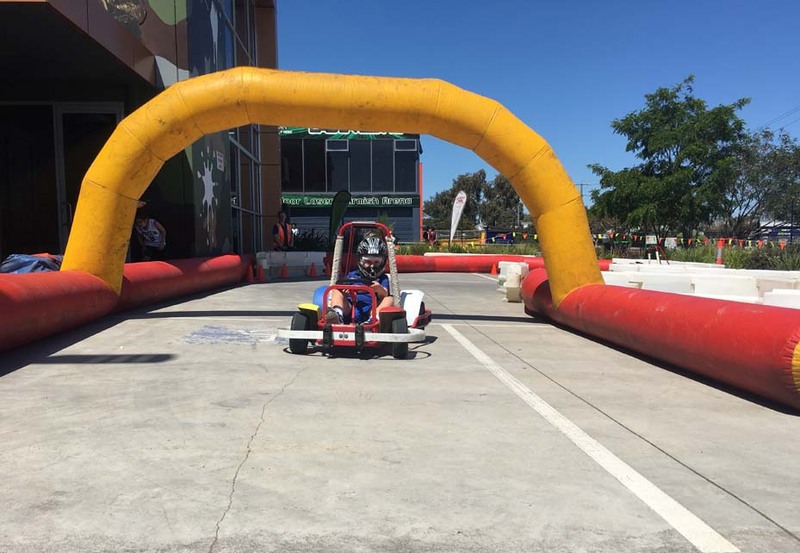 Just forty short minutes from the Mornington Peninsula, nestled in Dandenong South, is the largest go kart centre in Melbourne. And if you could drive as fast as some of their go karts go, you could be there in less time. Nah … not really. But there is something about being that close to the track combined with the sounds of the engines all around and the protective head gear that makes it all seem exceptionally fast. 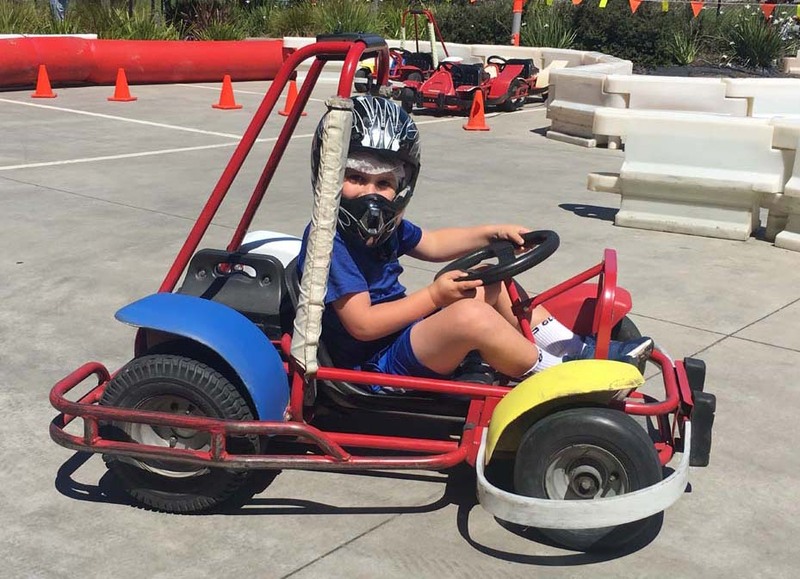 Our MPK family went to check out the 23 acres of outdoor space encompassing four tracks raced on by five different types of karts and found a little something for everybody. 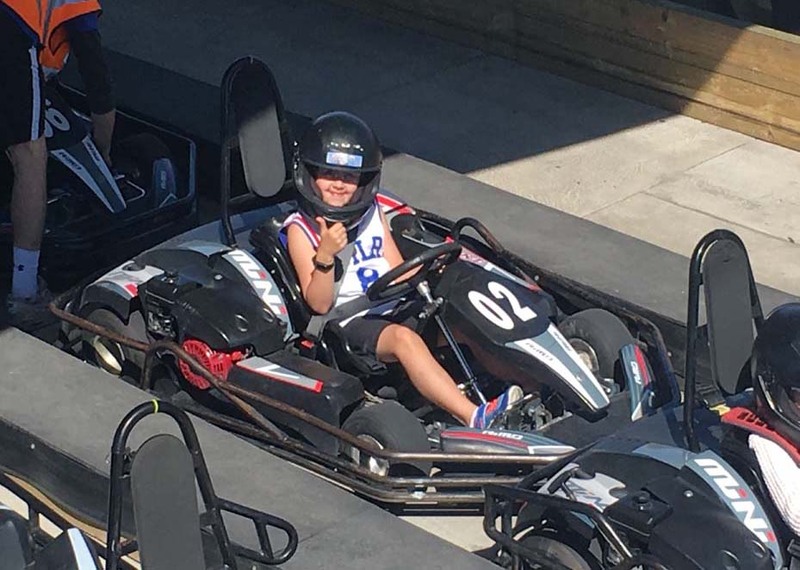 My six-year-old hopped into an age-appropriate electric kart and did countless laps in his 10 minutes aboard. It was difficult to see his facial expression through the helmeted-head, but upon closer inspection, his eyes, squinty from smiles, and cheeks, bursting with excitement, could be seen brimming up and over the helmet’s visor. Next, we moved over to the EPA (Engineering Products Australia) track for our nine-year-old. After getting kitted out with helmet, glasses and instructions she hopped into a mini kart and let loose on the open road..err, um, track. Having been built to give the young drivers an insight into driving in a controlled environment, the petrol powered go karts can reach speeds up to 20km/h which gave our girl a thrill of independence behind the wheel on her own. 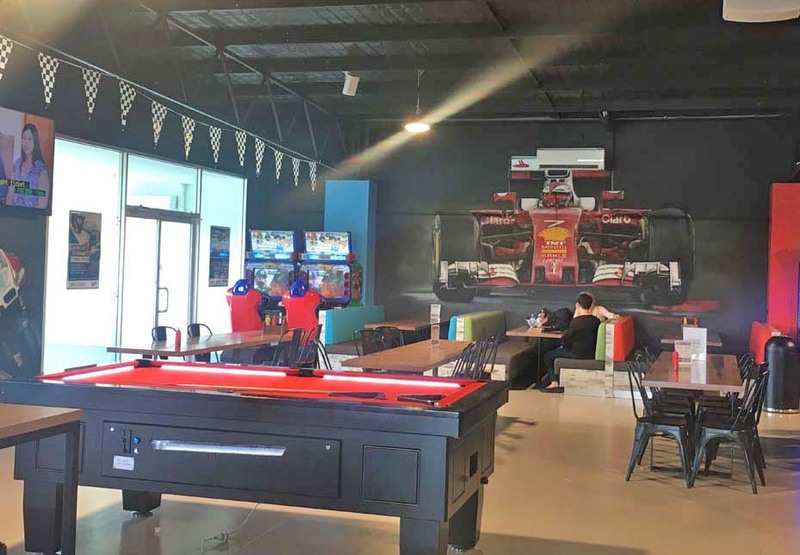 The upstairs café and entertainment area was clean, brightly coloured, had some arcade games, pool table, and lots of seating for guests and parties. They offered classic kid’s favourites to munch on, coffee, and adult beverages. We relaxed on the undercover balcony with ice-creams in hand overlooking the tracks. After our rest-stop it was time for the adults to have a spin. Hubby and I chose to team up with a kiddo and take the twin-karts out onto the Phoenix Track. The rules are strict and clear; no bumping, slow down to a walk when the lights are yellow, stop when they’re red. When they’re green it’s time to go. And we did. Round and round, each lap being clocked so you could see your best time and who had the best time of the group you were ‘racing’ against. For me, it was only important to show my passenger a good time. And to get a better-timed lap than my husband. On weekdays during school holidays they throw the doors open for children aged four – 15 offering awesome special deals! Buy tickets from www.lemansgokarts.com.au. 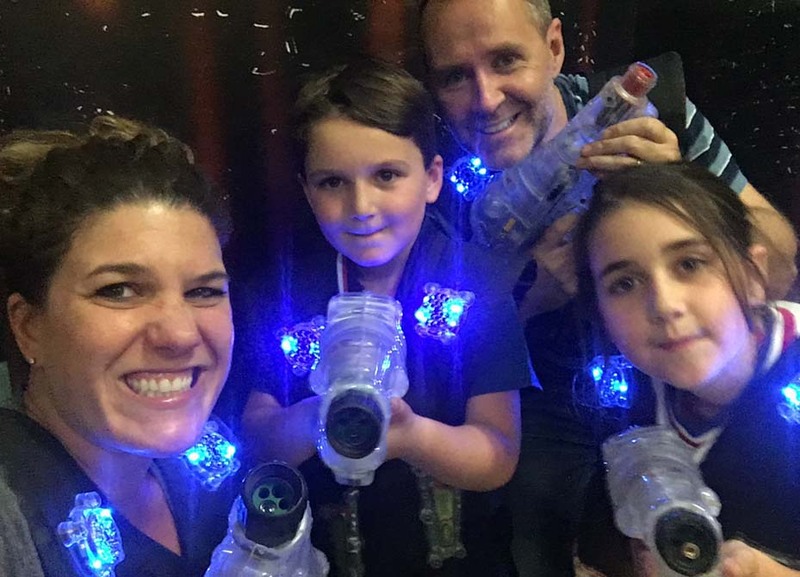 They also have an indoor two-story Lazerzone and glow paintball complex. 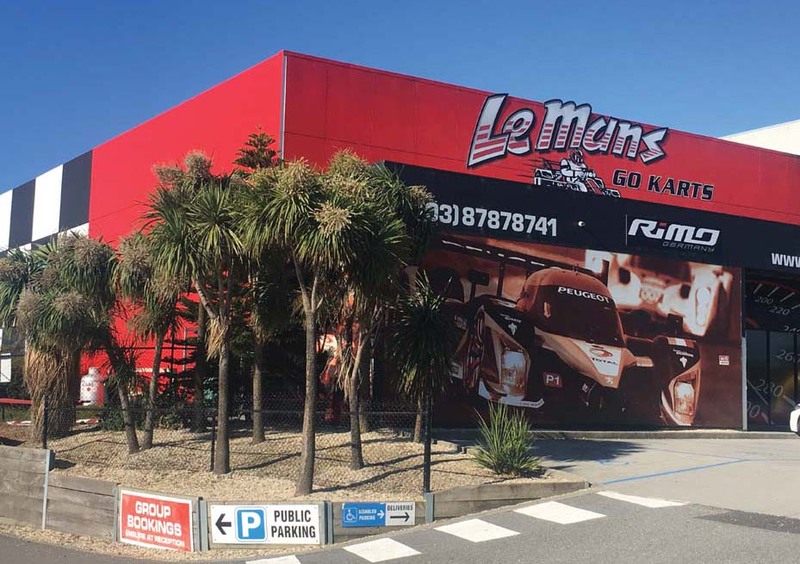 Le Mans Go Karts is located at 11 – 55 Waterview Close, Dandenong South. Open 7 days, including public holidays, (excluding Xmas day).